Describes and analyzes global causes, effects and dynamics of floods and includes methods for related environmental management. Reviews recent advances in the interdisciplinary study of floods and their effects on landforms, sediments, human works, and populations. Covers the use of morphometric parameters of drainage basins and establishes standard procedures for measuring geomorphically significant variables following a major flood. Specific chapters present data on the neglected topic of sedimentation in bedrock fluvial systems, and discuss, from the viewpoint of Holocene stratigraphy, common alluvial systems leading to flood plains. Includes numerous photos, illustrations and diagrams of flood effects around the world. 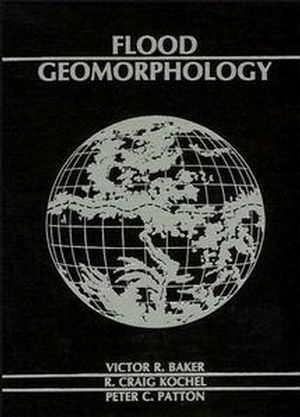 Victor R. Baker is the author of Flood Geomorphology, published by Wiley. R. Craig Kochel is the author of Flood Geomorphology, published by Wiley. External Controls and Geomorphic Measurements.